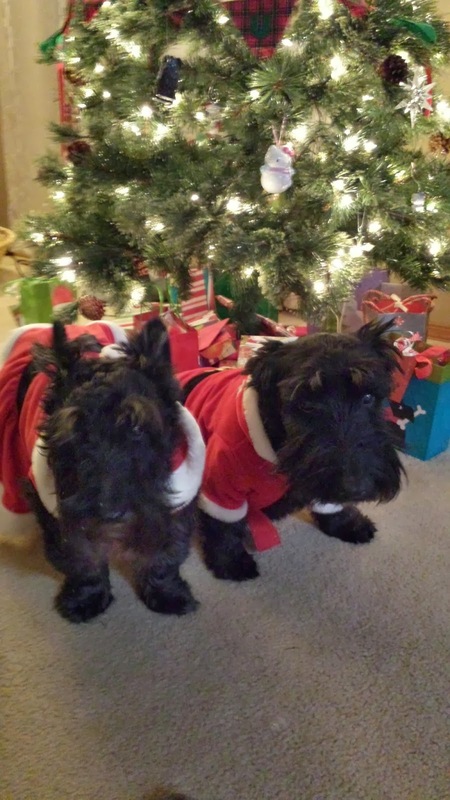 Pippen and Jacque were so lucky to get some great Christmas gifts this year! We participated in Jazzi's Christmas gift exchange. Jazzi's human is so nice to organize this every year! It is a lot of work! We also got a wonderfully nice gift from Angus Fala! 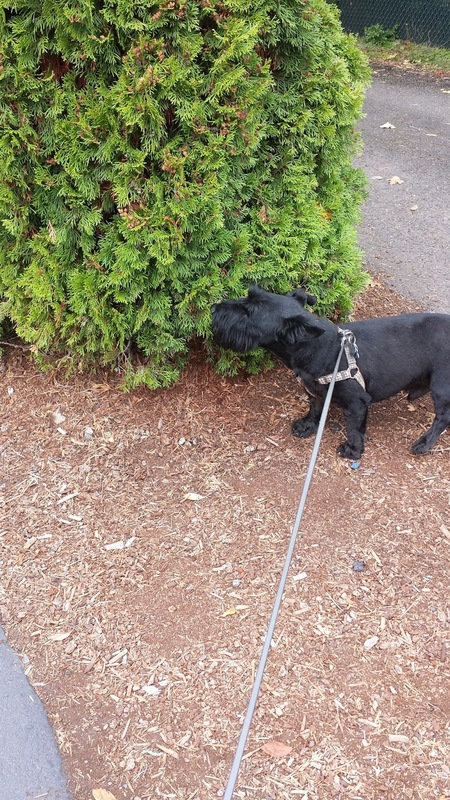 He is one of our first Scottie friends from Twitter and Facebook! What spoiled little Scotties I've got here! 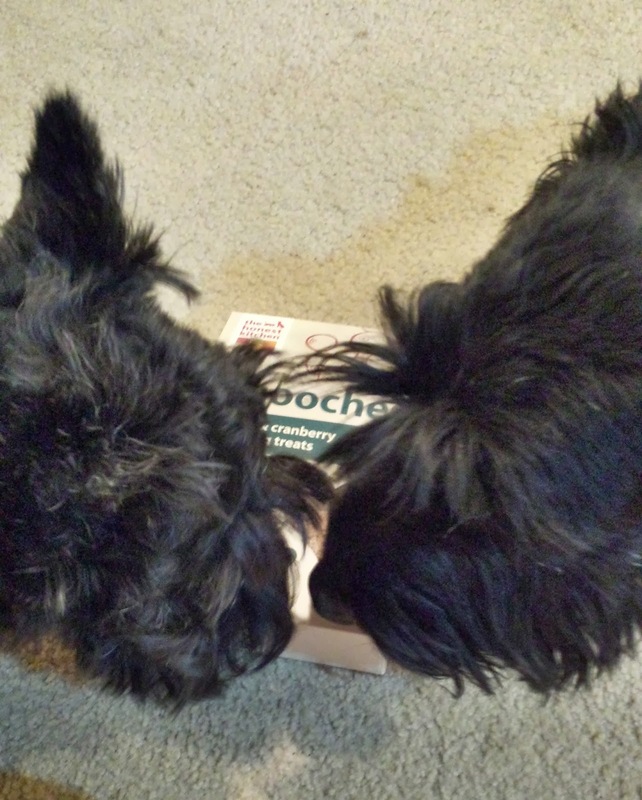 They loved all their gifts and I loved the awesome Scottie tin of shortbread from Angus as well. 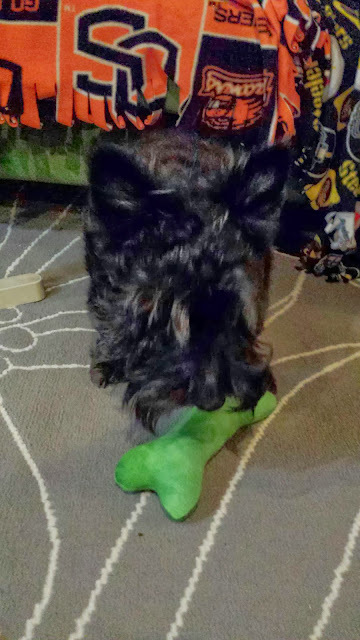 We are very thankful for all our Scottie (and doggie!) friends. 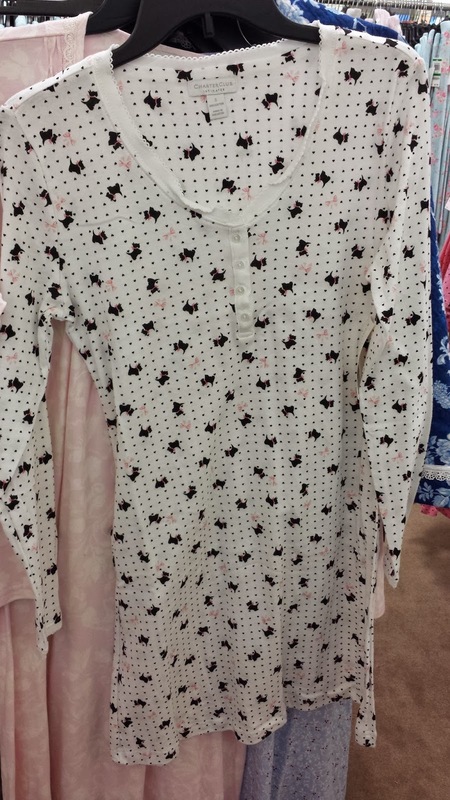 says "Bite Me" on it - funny! Both Jacque and Pippen checking out Angus' gift! Look at these goodies!! 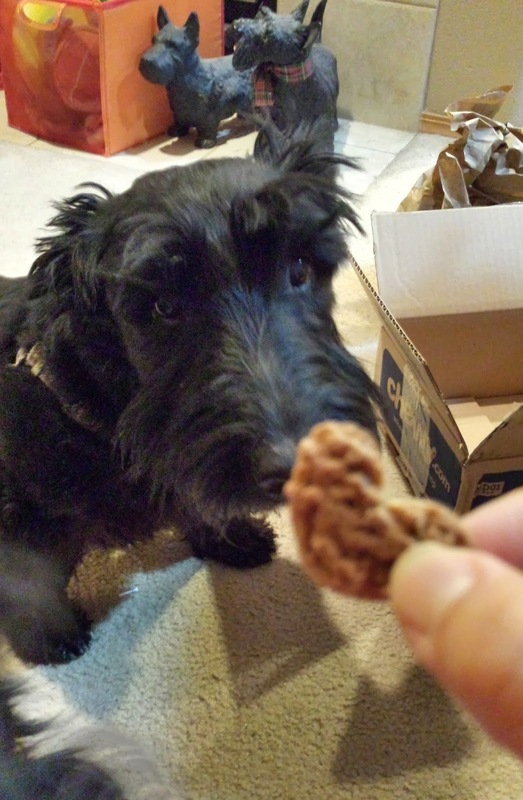 Jacque wants some shortbread! I think Pippen can smell Angus and Ainsley on the card! 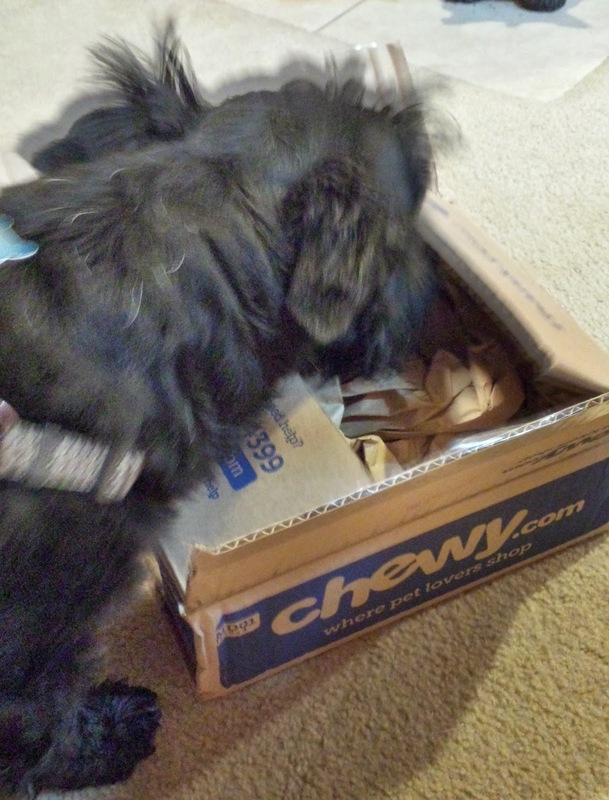 Recently I discovered a very old email from Chewy.com offering a yummy dog product to try and review. I reached out and asked if the opportunity still stood and was so excited when the response I got back was YES! 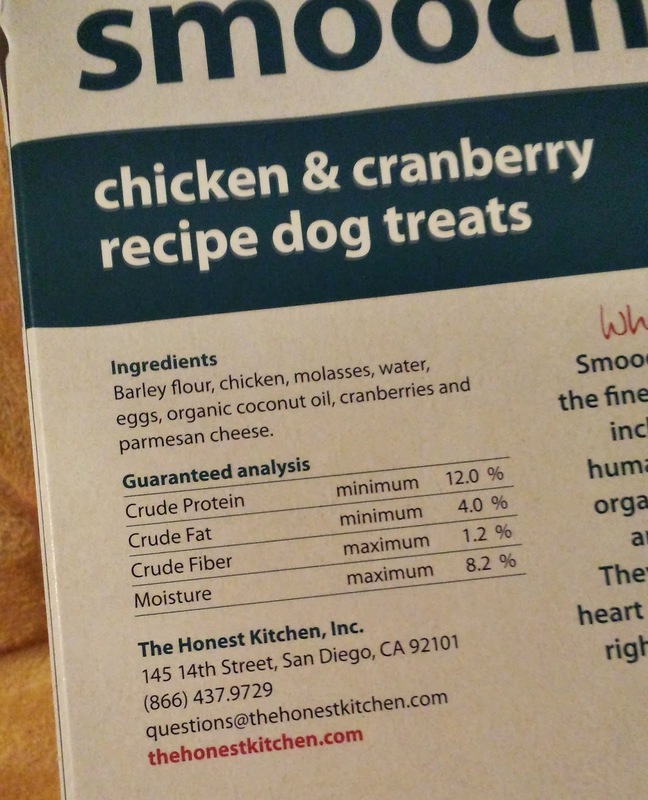 So I picked out some yummy treats from The Honest Kitchen. 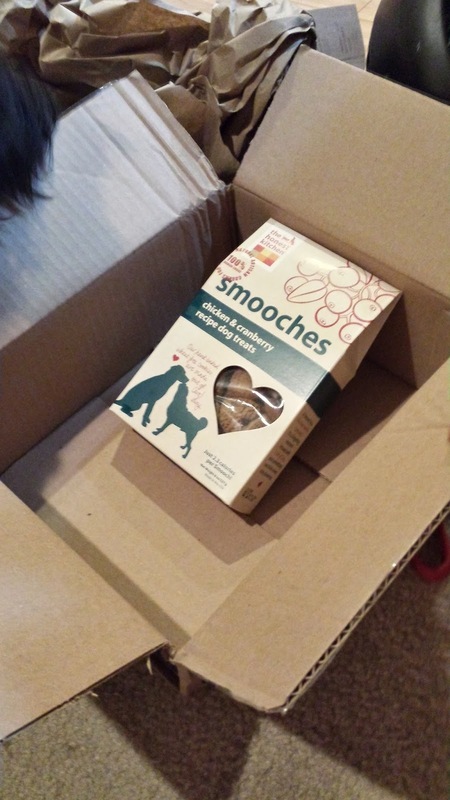 They're called Smooches (which I love because I always give my doggies smooches!) and they are made from free range chicken and cranberries. I worry about what I feed my dogs and I feel good about giving these to them. They look homemade and are in the shape of little hearts. Jacque and Pippen loved them! I gave them one each and they spent the next 10 minutes stalking the empty box looking for more! Silly doggies! You can find these on Chewy.com and set up auto ship! 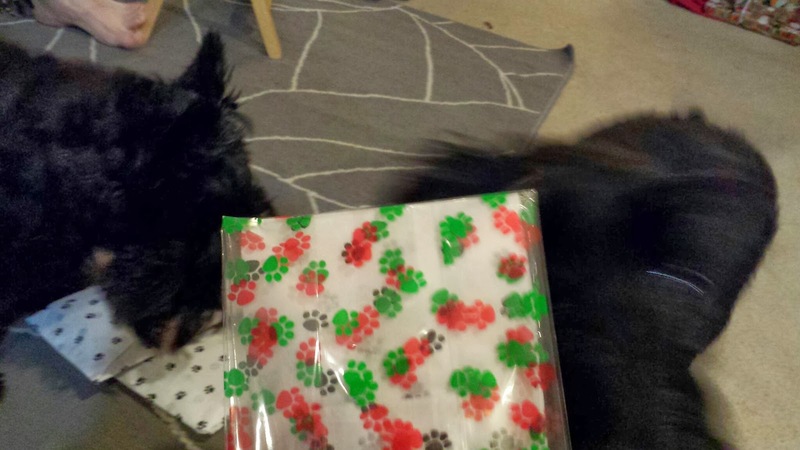 That way your sweet little furkids will never be without treats! 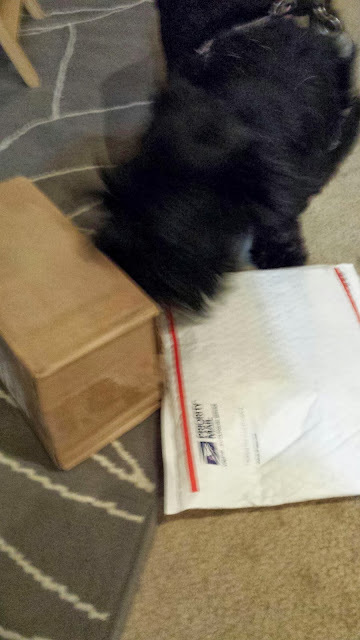 Chewy.com was even kind enough to extend a raffle for an opportunity to win your doggie(s) some treats!! Please see the rafflecopter below! But first, take a gander at some pictures of my adorable dogs! WOW! Sorry for the long absence. I really will try and be more up to date with my blogging. Those of us lucky enough to count Scotties as family members know that this is the optimal time of year to stock up on all things scottie! 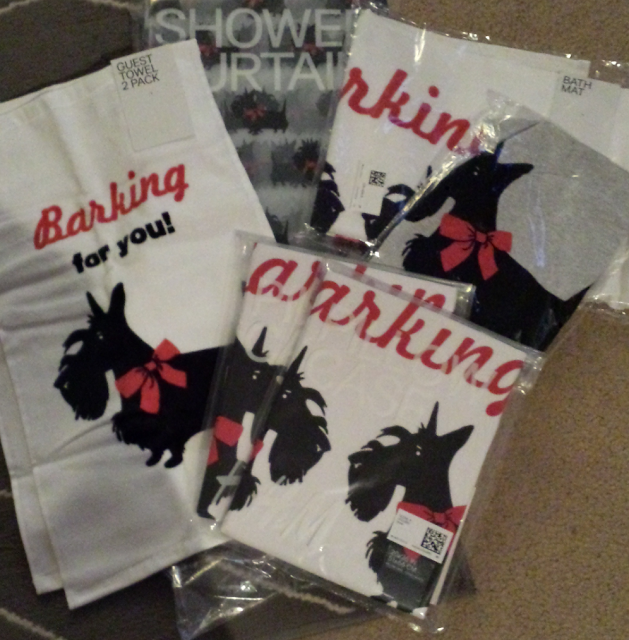 I want to share with you some Scottie items I've gotten so far and also a few I've seen! could make an exception for this one!! 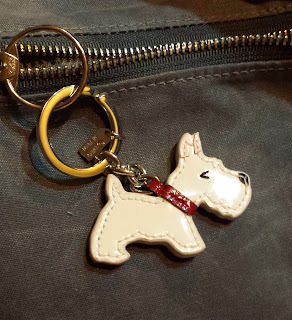 Adorable Coach keychain my awesome cousin got me for my birthday! with white Scotties and a blue with black (I think) Scotties! 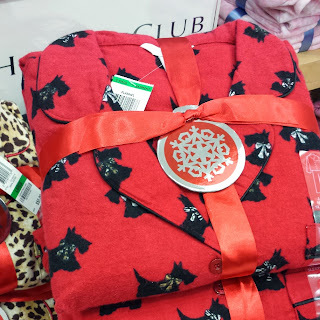 More Scottie PJs at Macy's! 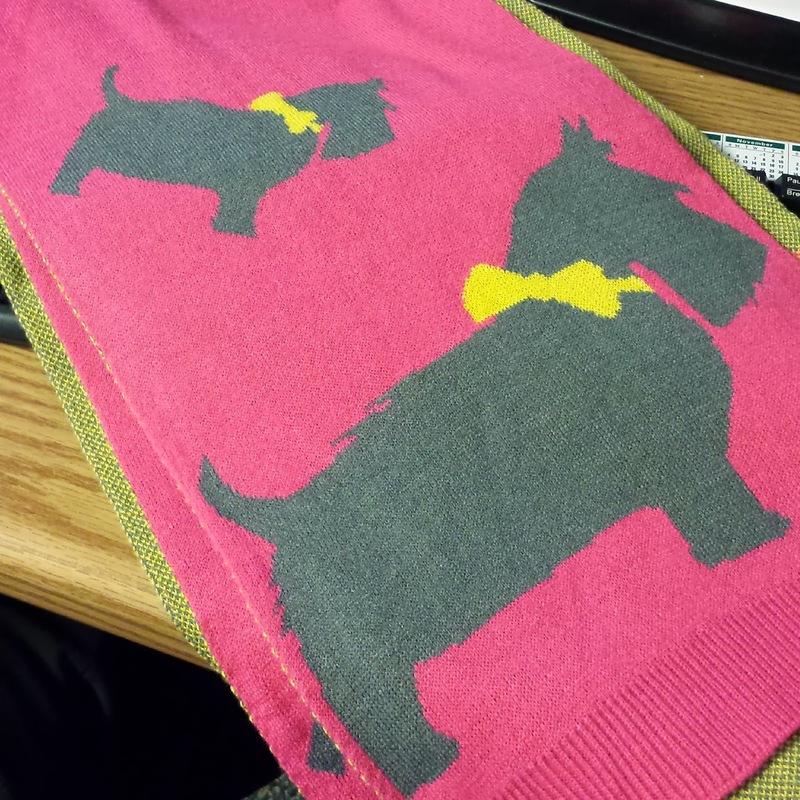 They have slippers too and a black top Scottie bottom set. mom a pair. 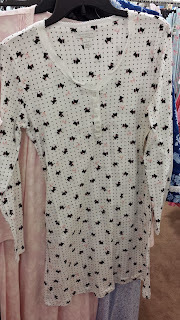 They also have some underwear, but I didn't take a picture of those! I just ordered some adorable bathroom and bedroom stuff at H&M! There's also some great wrapping paper and gift bags and tags at Cost Plus World Market! So cute, I just cannot resist! Wow! It's been a long time since I blogged here! I feel so lucky to live in a beautiful city that is just a bit of road trip away from the beach. My husband and I had a day off together (this is a rarity!) and it was suppose to be a beautiful day! So we decided we skip on over to the beach for the afternoon. Loading up the trunk with towels and water! Pippen wants to know what the heck is going on??!! It was a PERFECT day! Blue sky, sunny, around 60 degrees, not windy at all! That is pretty much all you can ask for on the Oregon coast! That is Haystack Rock down the beach there.